It may sound like good news that Colorado Springs sewers are not likely to catch fire any time soon, but that’s because Peterson Air Force Base dumped 150,000 gallons of toxic firefighting chemicals into the sewage system. Peterson Air Force Base confirmed Tuesday that a holding tank designed to corral firefighting chemicals released 150,000 gallons of water tainted with firefighting foam and other elevated perfluorinated chemicals (PFCs). The water then made its way into a Colorado Springs Utilities wastewater treatment plant but passed through before crews were notified or prepared to block it. From there, the wastewater flowed into Fountain Creek which flows south toward Pueblo and the Arkansas River, the Denver Post reported. PFCs have been associated with liver and kidney damage, according to the US Environmental Protection Agency. The wastewater treatment plant was not the only facility unprepared to handle the flow of toxic wastewater. Residents of Pueblo were equally caught off guard, as Pueblo Board of Water Works spokesman Paul Fanning told the Post that Pueblo was not warned of the incoming toxic water. Fanning explained that while they do not use groundwater or surface water from Fountain Creek, it doesn’t mean that it’s acceptable. 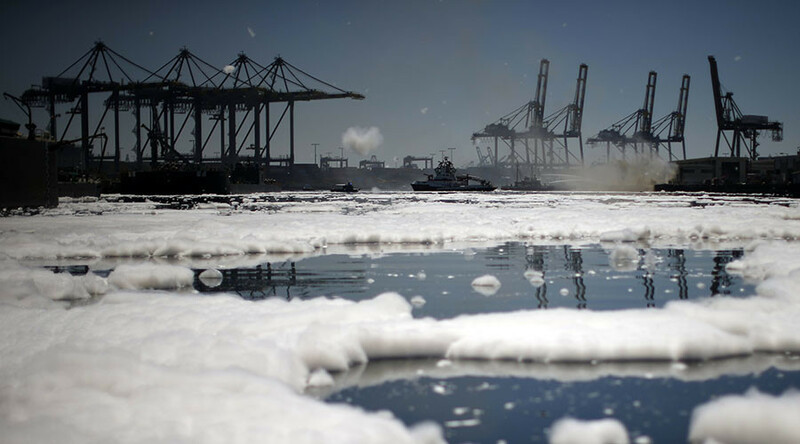 “It is not a good thing to have those contaminants anywhere in our water. There are some reported health effects. It is in our interest to protect our public,” Fanning said. Unfortunately, government data found PFC-contamination levels five times higher than the EPA’s health advisory limit have spread throughout groundwater and into the Fountain Creek watershed. The contamination goes as far south as Pueblo. How did the toxic water make it out of a tank at the firefighter training area on Peterson Base and into the sewer system? The Air Force is not offering many answers. They discovered the discharge on October 12, but beyond that have offered very little information. “We take all environmental concerns seriously and have opened an investigation to determine the cause of the discharge and prevent it from happening again,” Col. Doug Schiess, commander of the 21st Space Wing at Peterson AFB, said in a statement.